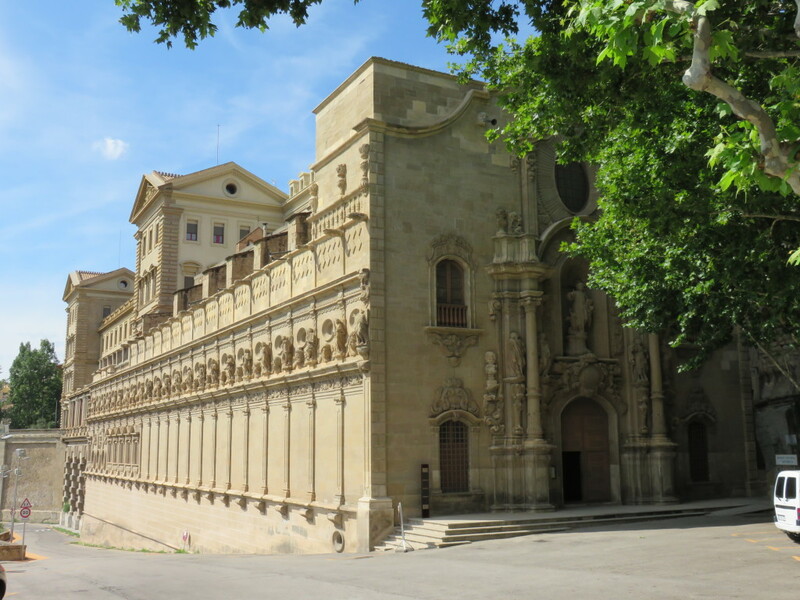 Saint Ignatius Loyola lived in Manresa from March 1522 until February 1523. 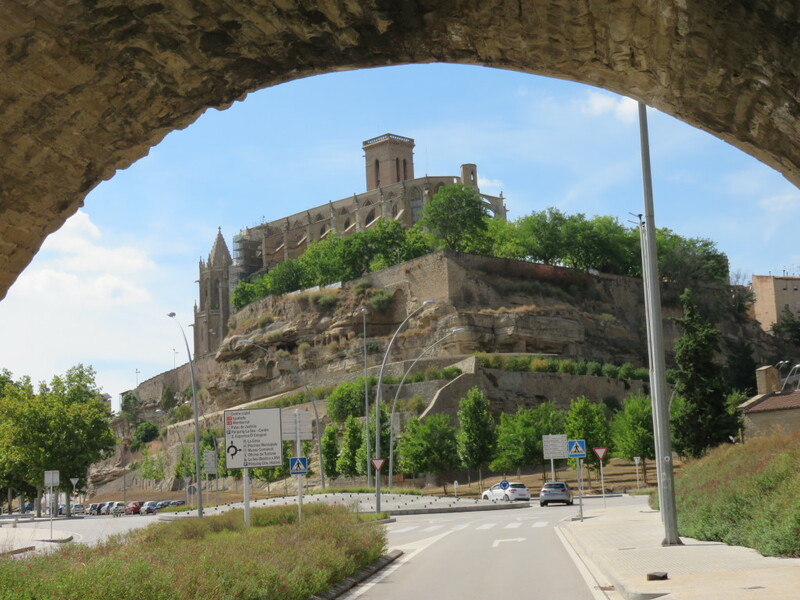 Manresa wants to bring to light the presence of Saint Ignatius in the town. 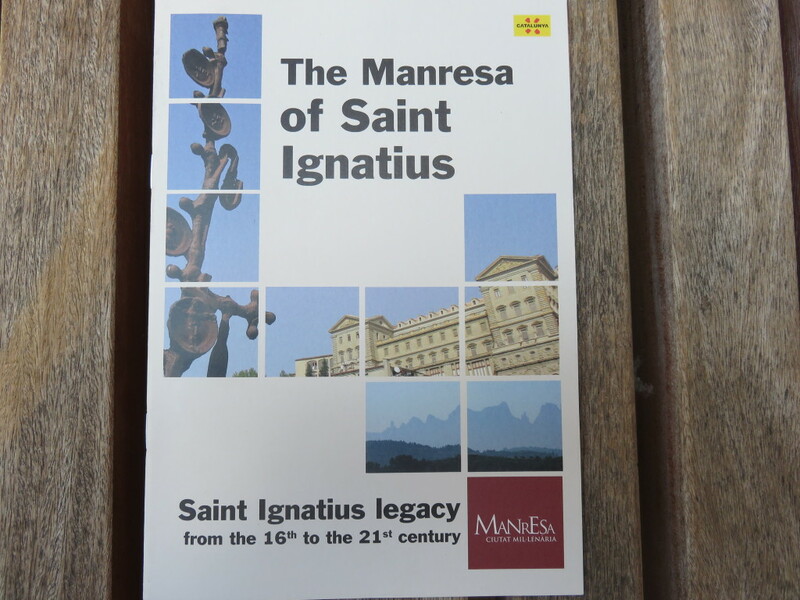 For that reason, they published several interesting pamphlets presenting the most significant Ignatian places. The Saint Lucia’s Hospital was known as the hospital of the poor. 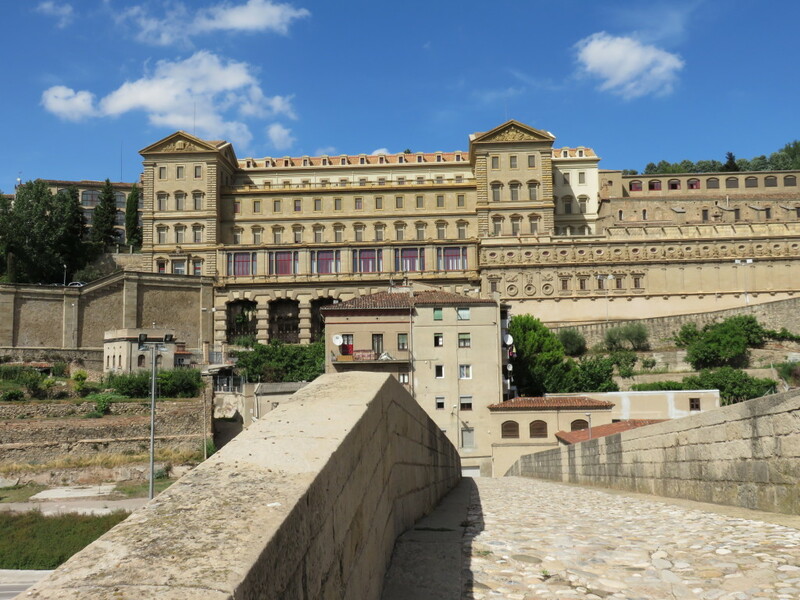 It was the first place where Saint Ignatius stayed, when he arrived from Montserrat. 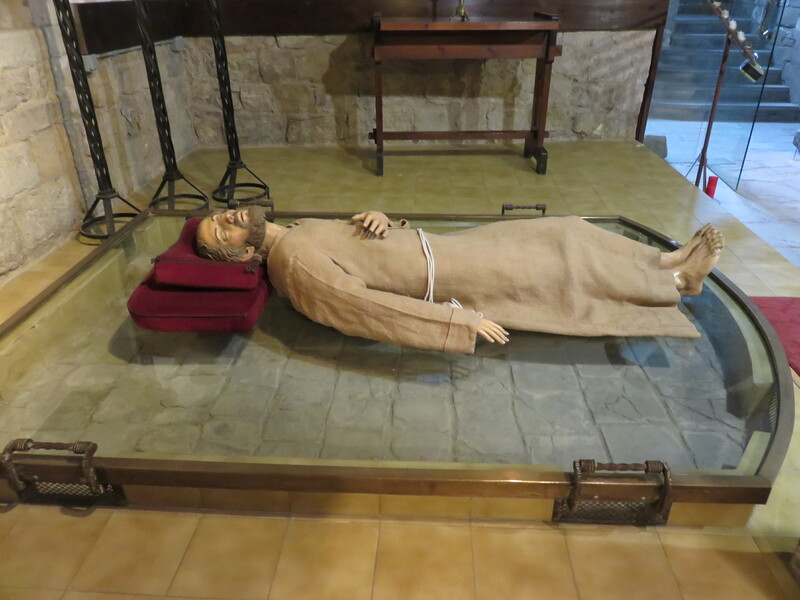 The Saint was fed among the poor and he helped the hospital nurses to take care of the sick. This way he was putting into practice the vows of poverty and help to one’s neighbour. 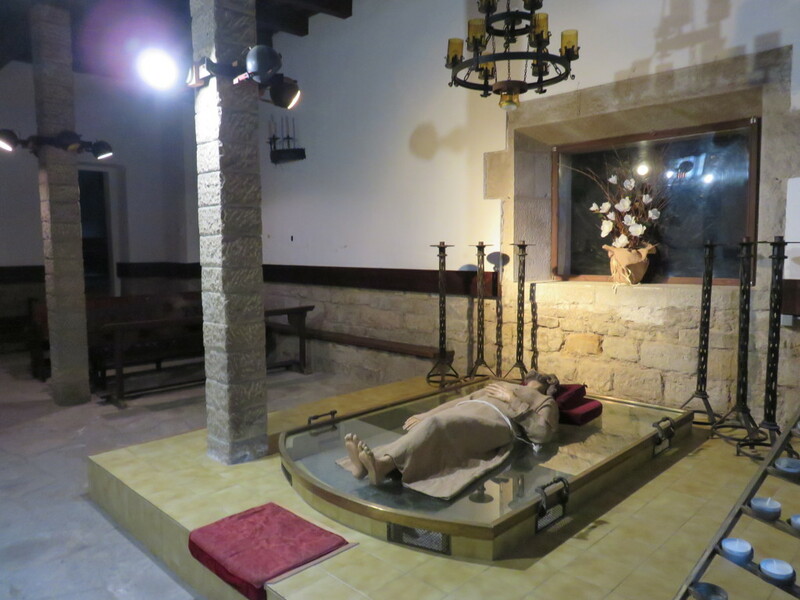 A local lore tells that Saint Ignatius, while singing in the hospital’s chapel, suffered a spiritual abduction that left him motionless on the ground, for eight days and eight nights. 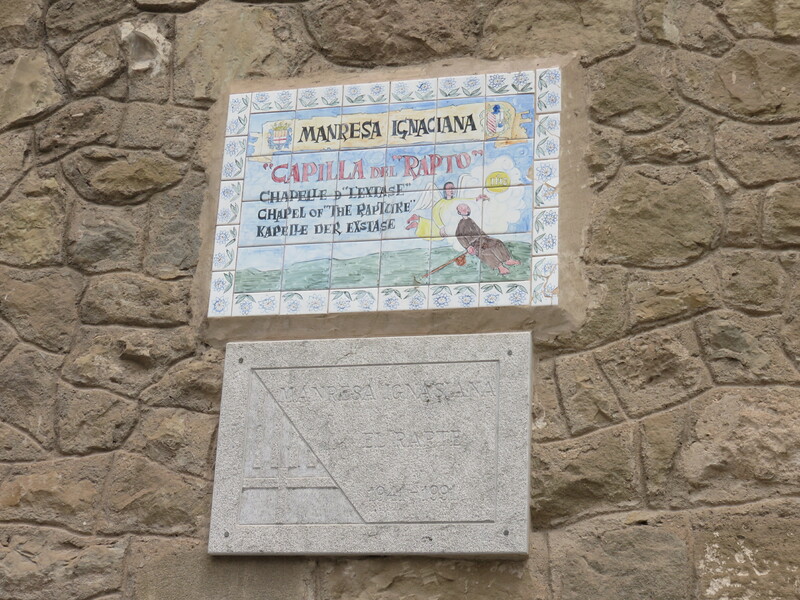 It seems that it was during this time when he received the guidelines for creating the society of Jesus. The Saint Lucia’s Hospital was demolished during the Spanish civil war and at present only the Rapte Chapel recalls this miracle. 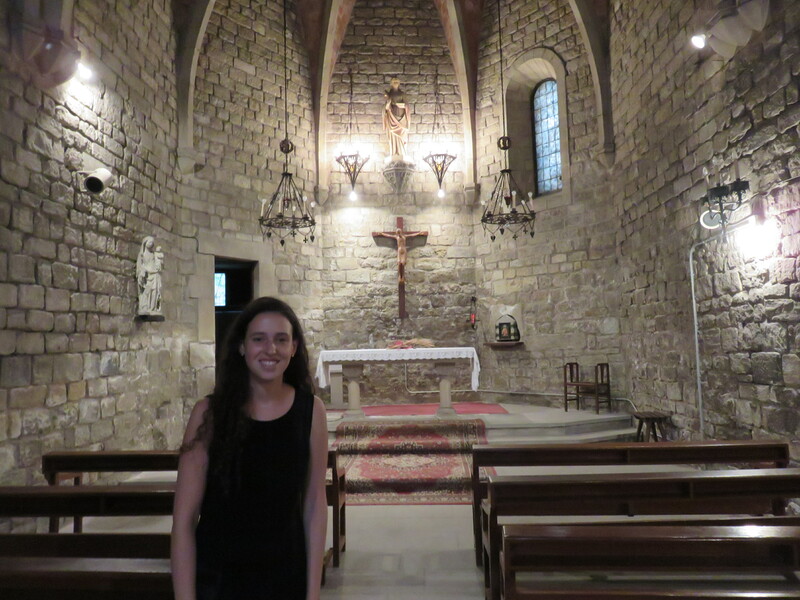 The most important place in Ignatian Manresa is La Cova. 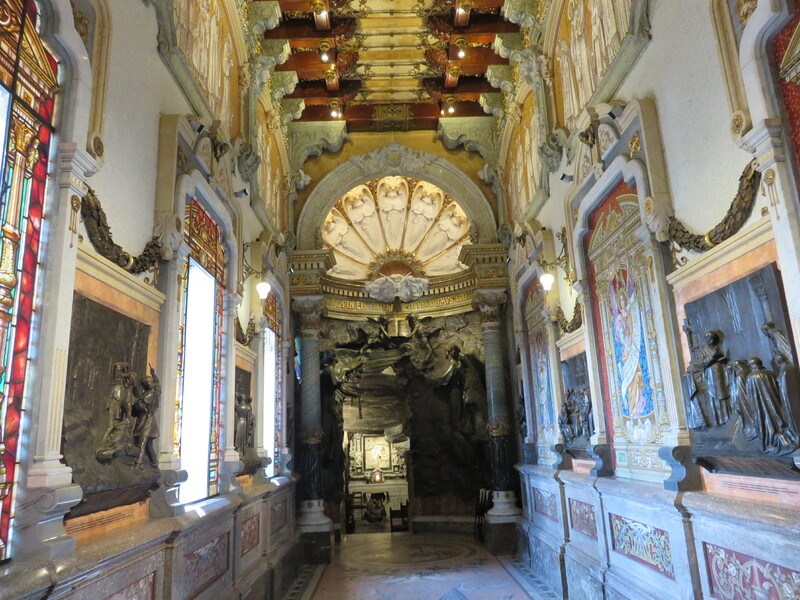 The architectural assembly of the Cave is a unique example of the combination of Jesuit architecture and Catalan Baroque art. 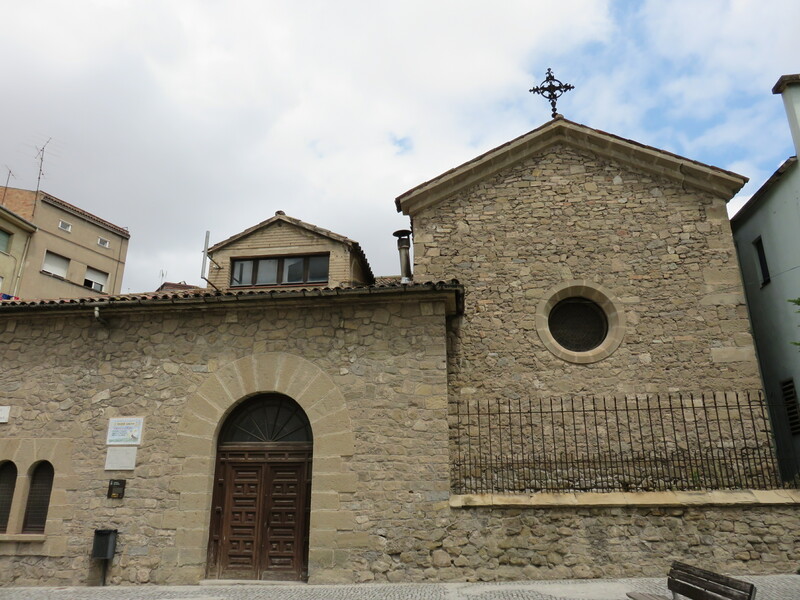 In the cave protected by this building, Saint Ignatius was inspired to write his Spiritual Exercises, For this reason Manresa is considered the physical and spiritual birthplace of the Society of Jesus. 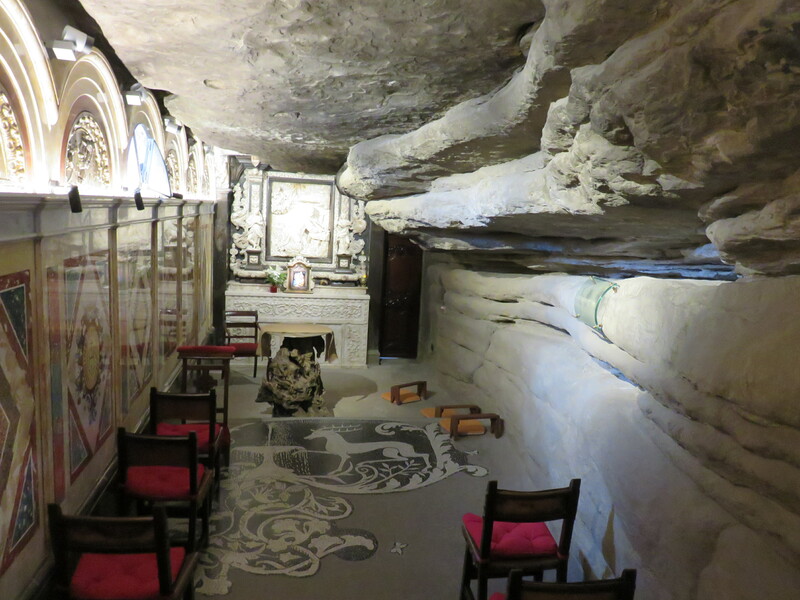 The cave is beautifully decorated outside and inside. 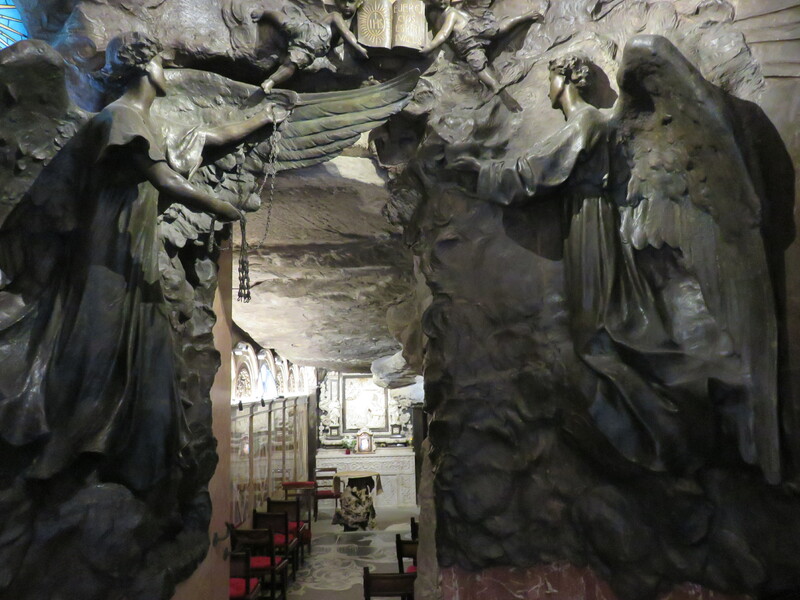 In the centre there is an altarpiece with an alabaster relief, made by Joan Grau, which shows Saint Ignatius writing the Spiritual Exercises in Manresa. It's hard to leave Barcelona! 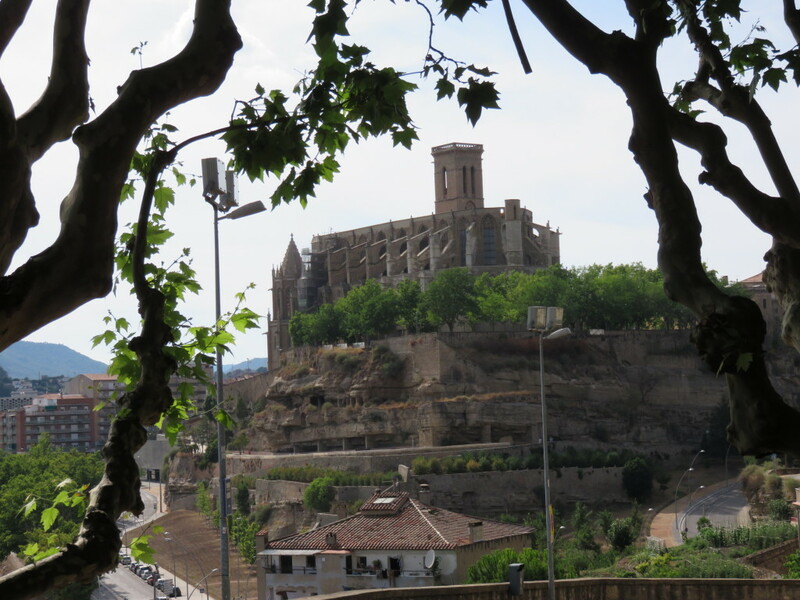 Hi Joanna, and so the journey continues It’s lovely to be able to follow your travels as you cont’d through Spain. It was a pleasure to get to know you .. love your creative spirit, my friend! Take care .. keep in touch .. 905-793-6817. Call me when you get back. Thank you Rosalie for your comment and phone number, I will call you when I get back, after August 24. Enjoy the rest of the summer! Wonderful Joanna. 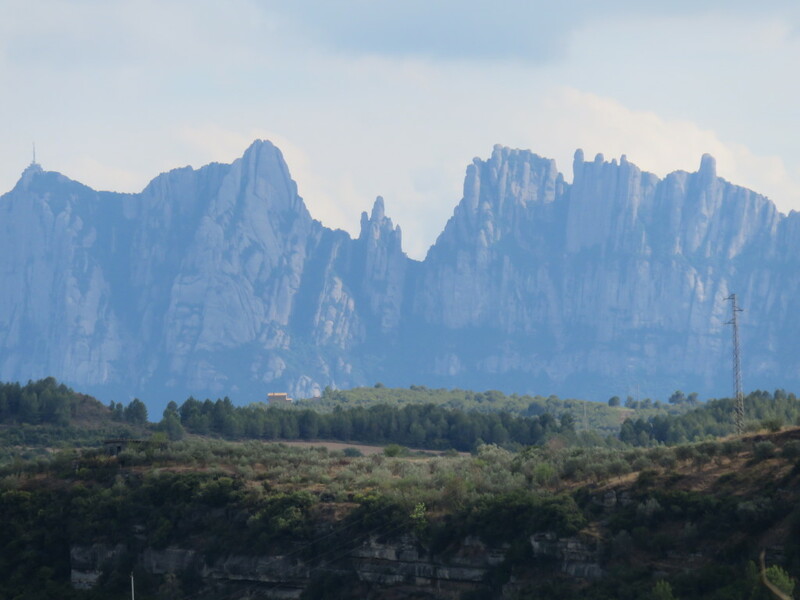 I have never been to this part of Spain and so appreciate your posting. Have a wonderful trip. Thank you Pam! Right now I am in Larnaka, Cyprus. 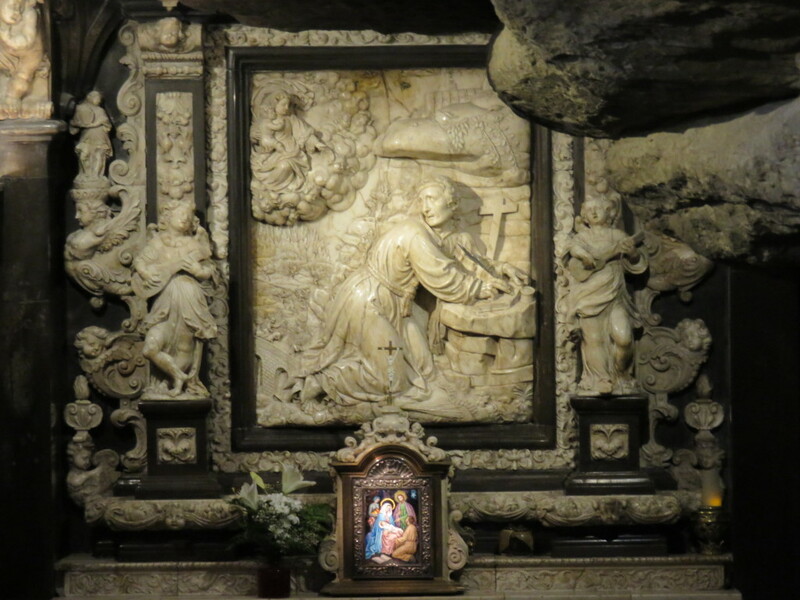 We are traveling in the footsteps of St Paul with Regis College.